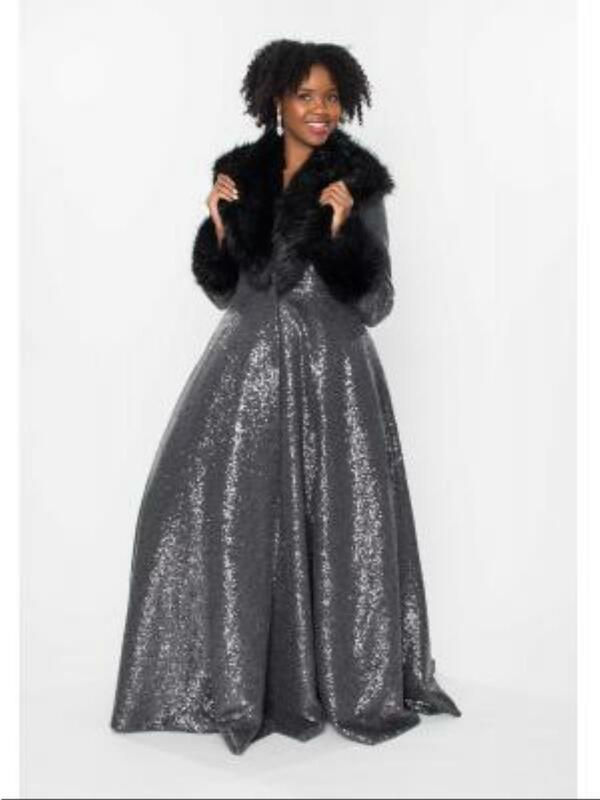 Long full skirt coat in gunmetal sequins with black fur collar and cuffs. 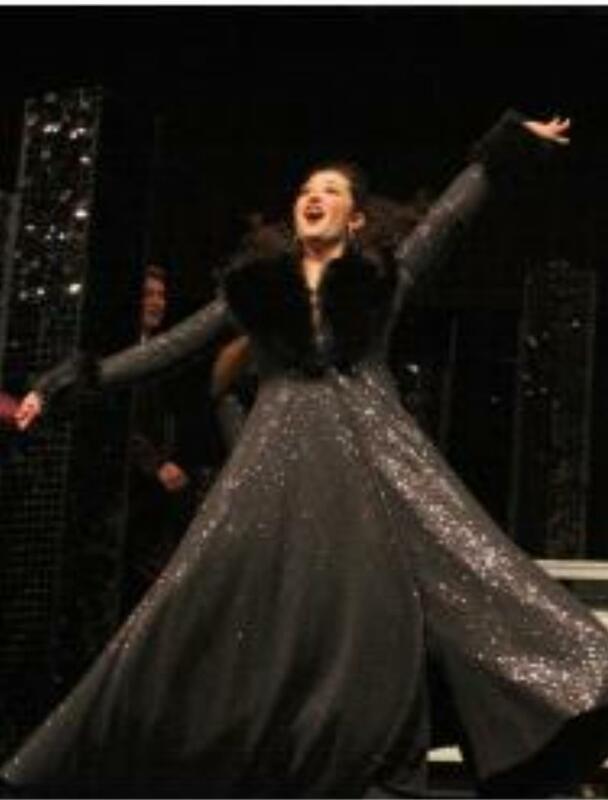 The coat is made to tearaway down the front with big snaps. Multiple colors are available.